Downloading my digital magazines is so easy! To access any of the photos of your favourite models, just click the “download” button, enter your details (you can pay securely and anonymously via paypal) then a download link will be emailed to you and a link will be displayed on the page. 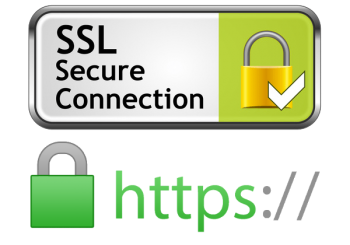 This site is secured with SSL. Always look for the padlock next to the address bar, when ordering online for your own protection. You can then view the photos on any computer, iPad, iPhone, Tablet or Android phone. You can even add more than one magazine to your cart and download them at once. If you have an ipad, tablet, notebook, laptop, ebook reader, nook or smart phone, you can enjoy our photos wherever you you are! They’re 100% portable and can be viewed on almost any device. All our magazines feature high quality photos of your favourite models. No adverts. No articles. No reviews. Just beautiful stylish HD glamour photos ready for you viewing pleasure. For info on how to transfer a magazine to your ebook to your iPad or tablet, please check out the FAQ. All ebooks and magazines work with iPad1 iPad2 iPad3 iPad4 iPad5 and iPad6, as well as all iPhones, all android phones and tablets. Download your free glamour ebook today. What is an ebook/downloadable magazine? An ezine (also spelled e-zine) is a more specialised term appropriately used for small magazines and newsletters distributed by any electronic method, for example, by electronic mail, downloaded online or viewable directly on a website. Some people use the terms cyberzine and hyperzine when referring to ebooks. Similarly, some online magazines may refer to themselves as “electronic magazines” or “e-magazines” to reflect their readership demographics. Photobooks or digital magazines are a new addition to this field, taking the traditional photobook/coffee table book and presenting it in an easy to use, easy to download digital format.